When the pressure is on and you have to perform you find the strength within you. 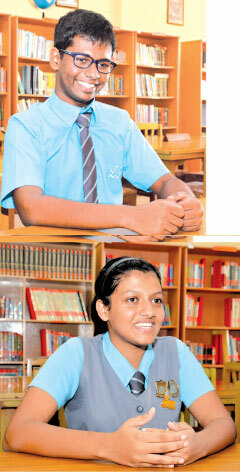 Perfect Prefects features Head Boy of Lyceum Panadura Sanuda Ranawake and Head Girl of Lyceum Panadara Dinithi Perera who have been trained to be efficient leaders. “A proper role model should be kind, should care about everyone and should always try to do the right thing as much as possible. He or she should be honest, and his/her honesty should go hand in hand with his/her confidence. As an honest and confident leader, he/she should be able to handle pressure and work in whatever circumstances he or she is in. Perera is a someone who takes up a challenge analytically. She approaches a problem in a very organized way. “When facing a challenge it could be best if you take it to step by step, just lay it all out and tackle every step as it comes along,” said Perera. Family and friendship is one reason why Perera is successful. Along with her confidence comes the support she has from her loved ones. “When talking about my secret to success as a Head Girl, my role model has been my sister. She was the former head girl of Lyceum Panadura as well. I have always admired her, and what she used to do and she has helped me a lot throughout this journey. I get help from my friends and family and I must say that I am confident and I can face the world,” said Perera. Perera points out that Lyceum instils excellent values in its students. The environment is very conducive for learning and the teachers are extremely helpful. Perera has received so much from Lyceum, that she is equipped to help others in society. She feels that our values are what makes life meaningful and defines who we are as a human race. 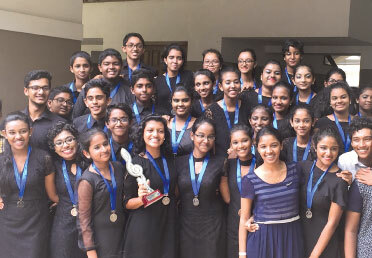 “I would like to pass on the values that we all have so that the new generation will have better qualities and retain our values, love their parents and take care of this earth will live in,” said Perera. Perera has an upbeat attitude and is ready to face life’s challenges and enjoy life. However, she has never forgotten her calling in life which is to help those who are experiencing a lot of distress in their minds. Too often we think that we are all alone. But there are so many out there with similar problems or even worse than ours. 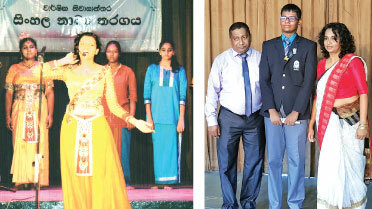 Head Boy of Lyceum Panadura Sanuda Ranawake points out that having a Head Prefect is something that makes a difference in the lives of students in Sri Lanka. Because there is always someone that is there if you need to speak to someone other than your parents. Someone who has probably gone through what you are going through. “I think the main kind of role model any young people need is someone they can look up to. If I see Bill Gates, he is like a role model, because he has a lot of exemplary characteristics, so we too need to display those exemplary characteristics. One thing is we need to be honest with people. We should not lie or cheat. We need to take care of people really well. 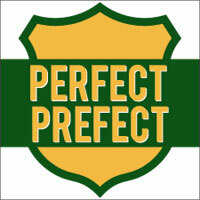 As prefects, we have a lot of experience. We should be very nice to people. If we don’t do that we get into a lot of trouble with people. So that is what makes a really good role model,” said Ranawake. When facing a difficulty Ranawake, tries to understand if he has faced such a situation before. He also looks towards those who are wise enough to help him. Ranawake too like Perera has a support system. A group of people who love him no matter what. 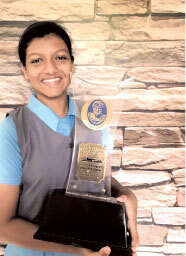 “My secret to success is that I am an announcer in the school and that has given me self- confidence and even from my younger days announcing has helped me become a leader, and take leadership roles. The other thing is my parents. No matter what happens even if there is a huge problem they stick behind my back and they help me and they are the ones in the end who help me get through that,” said Ranawake. Like Perera, he too feels that values must be passed down to the younger generation. That is what we are like as a human race. We want to pass down something of ourselves to our children. So that who we are may never die. “One of the things I would like to do is to pass on my leadership characteristics onto the younger ones. That would be my ultimate goal. Also when it comes to my personal ambitions, from a very young age I wanted to become a computer programmer. Another goal I want to achieve is to become a journalist because I like to report on things and tell the truth,” added Ranawake. Cruelty is something that Ranawake is appalled by. He is greatly distressed and horrified by this cruelty.